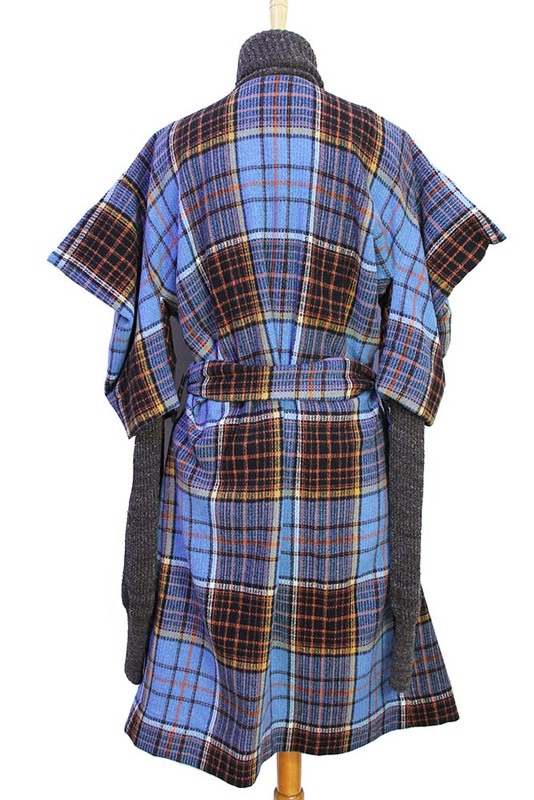 Vivienne Westwood Anglomania 'Dionysian Coat' in blue tartan with built in wool scarf. Fabric belt fastening. 2 angled pockets at the front. Large folding lapels. Squared, boxed upper sleeve with extending (from within), fitted, ribbed wool arms, with ribbed knitted cuffs. A stunning coat in a fantastic fabric!